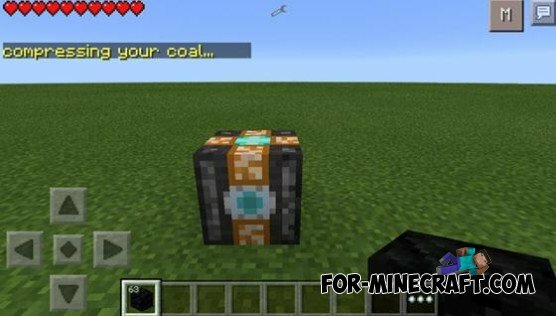 Compress block of coal into a diamond! The process is simple. Simply place block of coal in Diamond compressor and wait for 20 seconds, the process will occur. 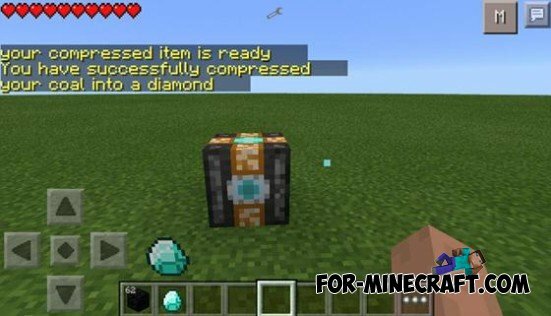 Once this is done, you will see a text message on how and when you can take your diamond. 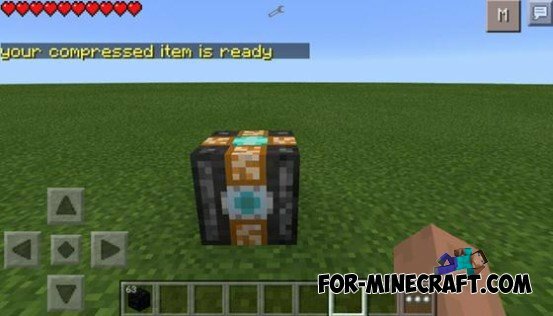 The mod is still in its infancy, so suggestions and comments are welcome to help authors improve later mode.